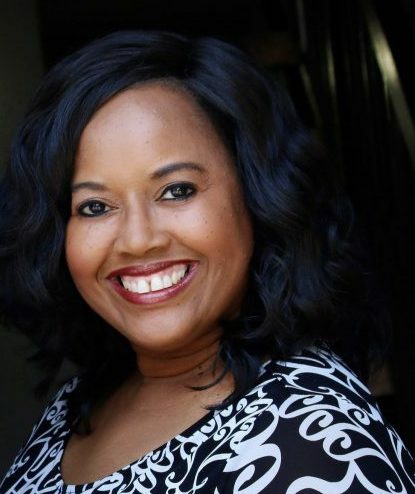 •Van Hayden gives insider info on how to realize your dream of becoming a 1st AD and storyteller in film & television. •More than just logistical, find out how to sharpen your creative eye just by tapping into ever day experiences. •Hear the advice Oscar winning actor Sean Penn gave the 1st AD that propelled Van’s career. •Discover resources such as guilds and councils that can grow your network and make an impact in Hollywood. •Find out how Van helped discover Rosario Dawson in the provocative film Kids – a career-making performance. When most people think about how a film is made, a few key players immediately come to mind: the Director, Writer, and Producer. But, there is another position that is equally important and extremely vital to a film or TV shoot’s success and that is the 1st Assistant Director, more commonly known as the 1st AD. Carrying the title of a 1st AD requires a multi-layered and multi-functional set of skills that display deft operational expertise that help maintain order on set. These various job skills are used extensively throughout the shoot from pre-production all the way to post-production and wrap. 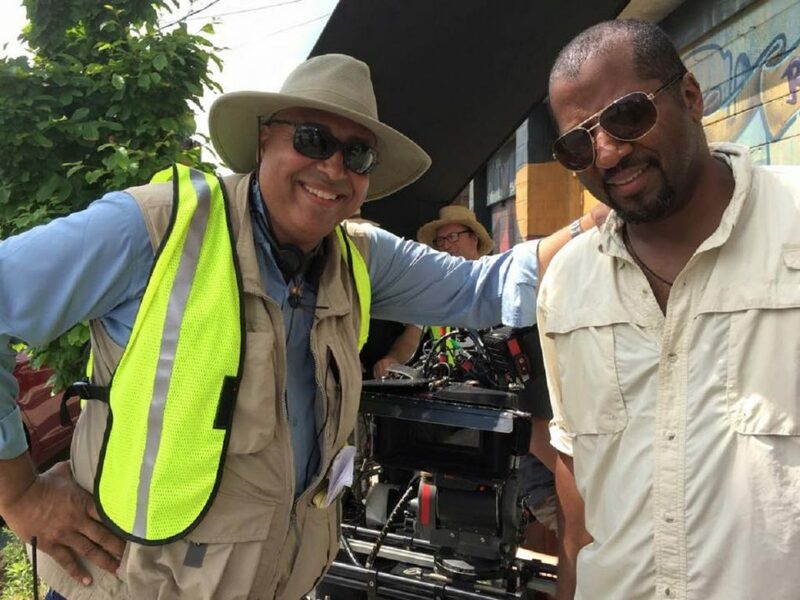 A few of the job duties that a 1st AD manages, include: preparing daily call sheets, arranging logistics, mapping out the shoot schedule, communicating the goals of the day to every department, managing cast and crew, maintaining the shooting schedule, resolving conflicts, and reconciling daily progress against the filming production schedule. It’s a lot of work and it takes a very special personality type to fill those extremely organized shoes. Let me put it another way. If the 1st AD was a Superhero, he or she would be able to fly, use their eyes as laser beams, be invisible, have bullet proof skin, have the strength of Thor and Hulk combined, read minds, and all while wearing a cool costume with boots and tights. MoreMentum was fortunate enough to catch up with one of our favorite “Superheroes” in the cinematic universe known as the 1st AD, Van Hayden. Van has over 20 years production experience and has been a 1st AD on several well-known and Indy films and television shows, such as: Almost Christmas, Real Husbands of Hollywood, Whitney, Dear White People, A Country Christmas Story, Kids, Dexter, and The Assassination of Richard Nixon, starring Sean Penn. 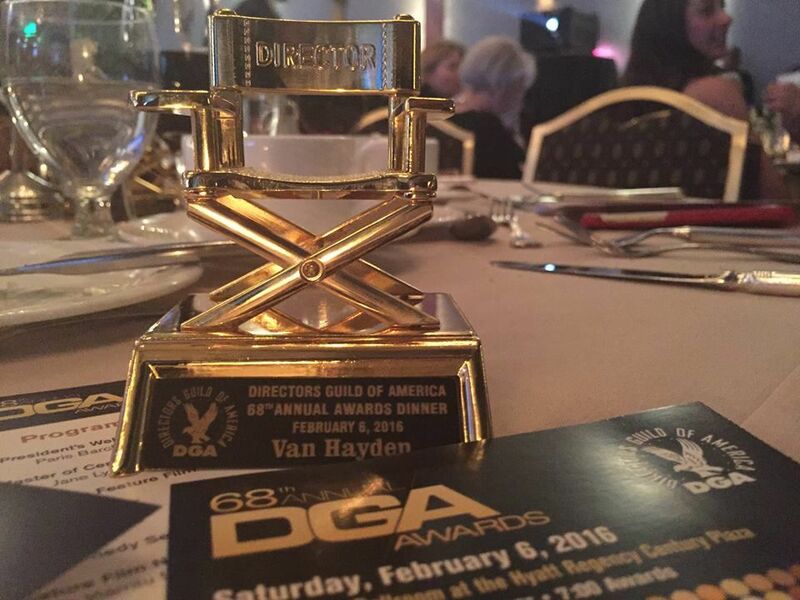 Van’s stellar work has been recognized and honored by the Director’s Guild of America (DGA) where he also served as Co-Chair of the African American Steering Committee. 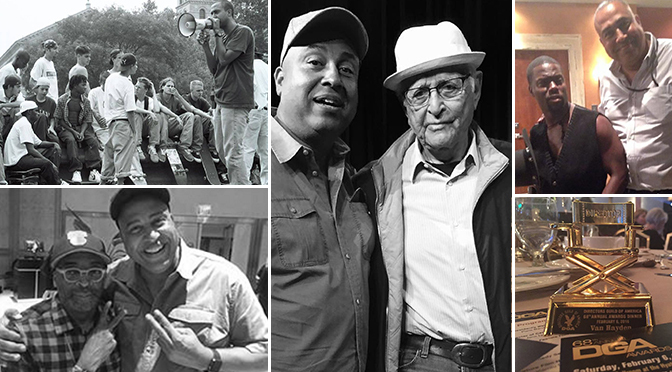 Van also shared exciting stories of growing up in Minneapolis and Duluth, Minnesota, and moving to New York for his first production job alongside legendary director Spike Lee, plus many more fascinating stories. We recently caught up with Van on another amazing shoot in Thousand Oaks, California. He was Jamie Foxx’s right-hand man on the set of All-Star Weekend, Foxx’s upcoming film and directorial debut. Here’s the full scope of what Van had to say below. KC: Where did you grow up and how did that impact your creative viewpoint as a 1st AD? VH: I grew up in the upper Midwest in Minnesota, which is my home state. 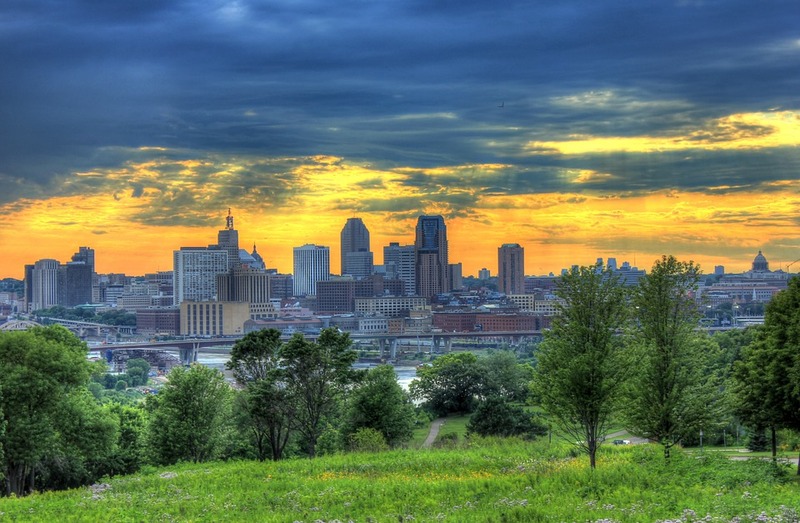 Minnesota is one of these progressive islands and what’s great is that it’s always been this refuge, a preserve of independent artists, thinkers, Prince is from Minneapolis. There’s an incredible art scene there that’s thriving, and it’s just a real wonderful place to grow up. KC: When did you know that you wanted to work in film and television? When that film She’s Gotta Have It screened at the 1986 National Association of Black Journalists Convention, in Dallas, I was in that audience with a thousand other Black journalists. Then I went up the Howard Communications Conference in Washington, D.C. at Howard University. 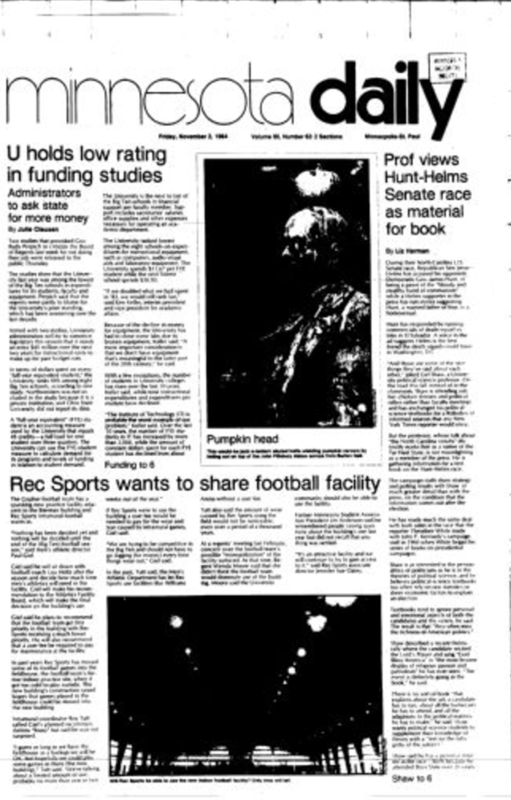 After that, I landed my first internship at the Philadelphia Daily News. I learned a lot about urban politics. Sitting in that audience, watching that movie for 100 minutes and watching this cinematic musician by the name of Spike Lee had concocted, it was really an epiphany for me. It was one of those turning points in life; where I saw this film and I could intellectually see what I thought was a very profound statement on social, feminist and gender issues. What Spike was able to do in a very entertaining and Afro-centric way was he was able to take – what was on the surface – a very simple story about a beautiful, African-American woman who has these three suitors through comedy and creative expression of cinema – what he was able to do is hold up a mirror on social values and social moirés, and he really picked apart this notion that there’s this sexual double standard between men and women. The way Spike framed it, you don’t understand the message until you get to the end of the film and then you realize it’s really a pretty, radical feminist statement from an unlikely, twenty-something-year-old African-American filmmaker. That was what lit the fire in my imagination. I was just mesmerized. You’re laughing throughout the movie, and Spike’s character “Mars Blackmon” becomes this like ‘hero’ who also goes off into the Nike commercial as Mars Blackmon with Michael Jordan in all these iconic Nike commercials. But no one has seen a character like Mars Blackmon on screen before. You would see a Mars Blackmon in the hood, but nobody ever made that character a hero on a movie screen. It was a revolutionary film. Obviously, thirty years later Spike changed the entire cultural landscape. He blew up the Hollywood system from the independent side and the film side. 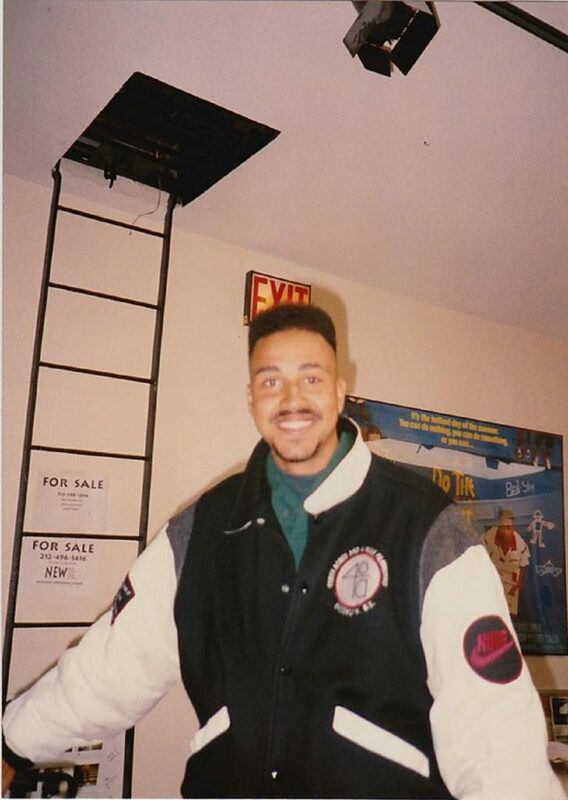 It was having this cutting edge, socially relevant director at the height of the hip-hop movement; it was kind of the second Harlem renaissance. It was incredible. It was the pay off of the epiphany of when I saw She’s Gotta Have It at the NABJ convention. KC: You said you worked in the video store, is there a particular movie or character that describes your childhood? KC: You worked at 40 Acres and a Mule for Spike. How did that experience shape your professional life as a 1st AD and personal life as well? VH: That was an incredible incubator and it was this incredible training ground to learn to become a filmmaker. One of the most important legacies that Spike Lee will have is the community of filmmakers that he has personally trained. He pushed and fought for internships and opportunities for African-American technicians and young Latino technicians. It literally changed the complexion of the industry. 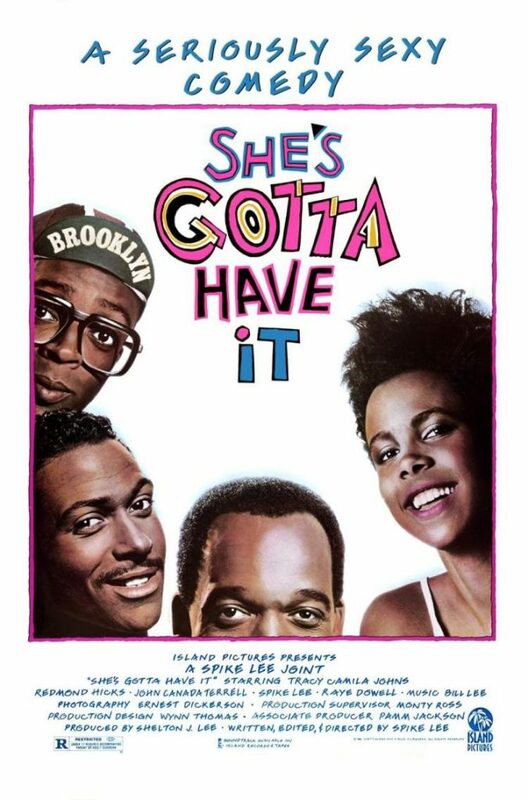 You look at someone like: Kevin Ladson who became a Prop Master for Spike Lee; Lamont Crawford, a Key Grip; Ernest Dickerson as a Cinematographer; Ruth Carter, a two-time Academy-Award nominated Costume Designer; and Robi Reed, Casting Director. What Spike did was he demystified the filmmaking process. He made it democratic so you didn’t have to have a connection to the studios to make a film. If you had a great idea and you could get access to the equipment, especially as an African-American artist, you could make a film. Look at the exposure we have today with Ava DuVernay, Barry Jenkins who has Moonlight out now, Julia Dash, Daughters of the Dust. You have this incredible explosion of African-American artists, who are telling stories through the medium of film, and I guarantee you that if it weren’t for Spike Lee, you would not see this explosion we are seeing now. When black, Latino, Asian children see images of themselves, positive images – working as lawyers, doctors, artists— it has a way of affecting the child. It imprints on the kid, “Hey, I can do that.” If you can see it, it’s real. KC: What projects did you work on at 40 Acres and a Mule in your journey of becoming a 1st AD? VH: My first project was Mo’ Better Blues. I had left my job at U.S. Video, and I was working at a hotel as a doorman. I heard that Spike was getting ready to do a movie in the fall and I didn’t know when exactly but a woman who I had met said, “Look why don’t you write a letter and send it to his production office about your background and how you were effected when you saw She’s Gotta Have It and see if there would be any opportunity to actually come to New York and work on one of his films.” “That’s genius, I’ll do that.” So while I was working at the hotel, there was a filmmaker named Greg Gold who had come into town from Propaganda Films to shoot his music video for this European boy band. I said, “If you need a Production Assistant, I would love to work with you guys.” They hired me as PA and by the end, I was one of the few people standing. I was eager and excited. The director said, “Look man, you were great. If you ever come out to Los Angeles, we’ll put you to work. If you decide to go to film school, I’ll write you a glowing letter of recommendation,” because at the time, Spike had gone to NYU Tisch Film School and I thought that’s what I should do. I worked as an unpaid intern for seven weeks, when Spike’s Co-Producer Monty Ross came to me and said, “You come to work on time, you always have a great attitude, have you ever done craft service? No, I haven’t but I think I can learn it.” My daily schedule was work from 5:30AM to 6 at night, then after work, there were dailies. We could watch and learn how the director [Spike Lee] and actors did different takes, and it was this incredible laboratory and front-row seat to learn the business and craft of filmmaking. KC: What films did you work on with Spike and did they play a role in becoming a 1st AD? VH: Mo Better Blues, Jungle Fever, Malcolm X, Brooklyn’s Own Iron Mike Tyson, which was an HBO documentary, a bunch of music videos, Bird Song with Branford Marsalis. We did two different national Levi’s campaigns – the ‘button your fly’ series. There were certain jobs that weren’t as big and Spike’s normal 1st AD wasn’t available or they didn’t have the budget, so Spike gave me the opportunity to become his Assistant Director on those movies. KC: What does a 1st AD do? VH: There’s a great misnomer about that position. For the uneducated, it’s the person on the set yelling at people [laughs]. There are producers who think that is what an “effective” 1st AD does. Their job is when a film has been given a start date, it’s the job of the 1st AD to go through the script, break it down scene-by-scene, then schedule those scenes and put it into a logical, organized shooting schedule. You assign what scenes should be shot on which days and that’s often based on the availability of the actors, special equipment involved, whether it’s a day or night scene, interior or exterior; all these variables that are factored into smart scheduling. Additionally, during pre-production, it’s organizing the meetings the director has; the training sessions that the actors may have to go through; coordinating wardrobe and costumes department when actors are coming into fittings; working with the Stunt Coordinator; dealing with a specialist like for military training. It’s the organizing and scheduling of the entire film. Then once the scheduling is done, it’s job of the 1st AD to design the authentic look of everything that’s going on in the background of the film in terms of extras. If it were a 1940s movie, you wanna make sure you got some folks in World War 2 military uniforms. There’s a paperboy out in the streets. You have to decide how many people are in the scene; what they’re doing; making sure they have certain props; and none of those people can speak out loud. They’re all silent but it’s the job of the 1st AD to create that movement and what I call that “authentic and realistic background activity” that’s going on while the main scene plays out with the principal actors. On-set safety is another issue and central communication if there are any changes when you start. KC: How would a young person who’s interested in becoming a 1st AD go about taking the required steps to become a sought-out Assistant Director? VH: The first thing you should do way before walking onto a set is just to have a broad understanding of human nature. Have some idea of story telling and being observant is very important. 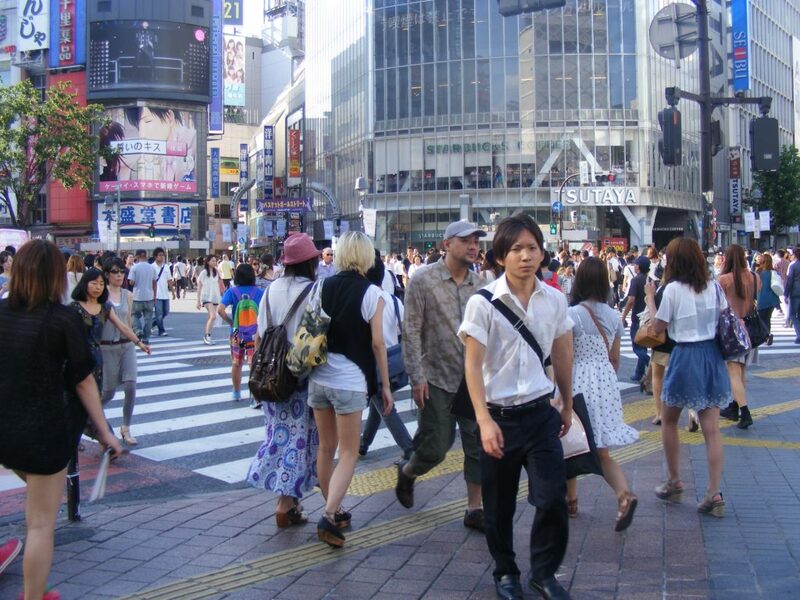 Recognizing when you’re walking down the street: Who’s on the street? What are those people doing? What are they carrying? Are they loading a truck? Do they have a dog? Are they carrying a briefcase? All those little details that you can lock into your memory and observe are going to come back to you when you’re an Assistant Director and reading a script, because it doesn’t say ‘those things’ in the script. Those are the little brushstrokes that a creative 1st AD can bring. The next most important thing is the best PAs make the best 2nd ADs or the best 1st ADs because you are in a position where you can learn the craft. You can learn what it takes to put together a film schedule. You understand how long it takes to do a scene. You understand what the other department heads have to do to get the actors on the set whether it’s going through hair, make up, wardrobe, any of those processes – so that when you’re actually scheduling the film – you already know the amount of time involves. You only get that through experience, experience, and experience. There’s not a day I’m on set – even 30 years into this – that I don’t learn something. I loved doing The Assassination of Richard Nixon, which was another period film starring Sean Penn and Don Cheadle, and Naomi Watts – about a normal guy, where things aren’t going well for him in life. He tries to get a small business loan and gets turned down by the federal government, and he decides that Nixon is to blame for his problems. As a result – and this is based on a true story on a guy named Samuel Byck, who in real life tried to hijack an airplane still on the ground out of Baltimore International Airport – he got on the plane with a gun, shot some people, took some hostage and ordered the plane into the air. I had been a 1st AD at that point for ten or fifteen years, and that lesson was golden because it forced me to think about not just my responsibilities and how I do my job, but to take it the next level and be in sync with the cast, so that when they’re ready, I had to have an appreciation of how the actor works, to be able to deliver an Academy Award level performance. I’m in great debt to Sean for taking the time and pulling me aside to share that piece of knowledge with me to make me a better 1st AD. KC: You’ve worked on so many great projects…can you name a few and share why they were so impactful? VH: Spike not only gave me a job, he gave me a lifelong career and one that can have an important impact on people’s lives. 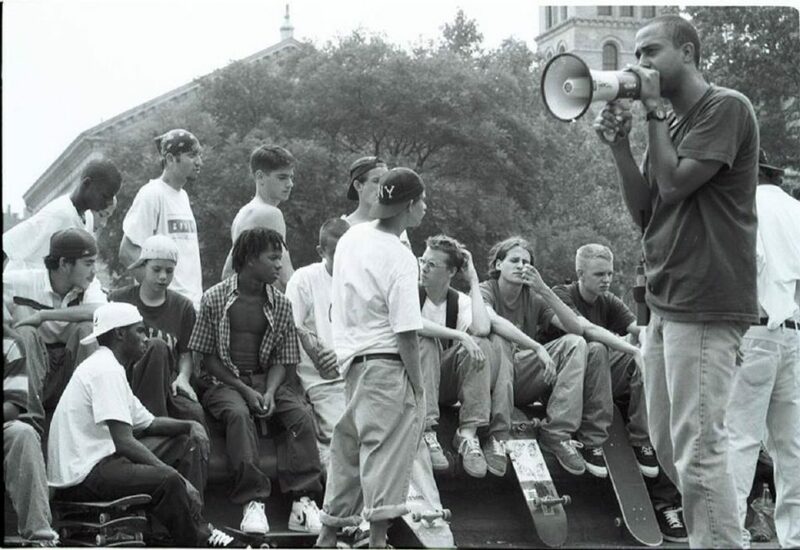 I love the film Kids; it has a special place in my heart. It was directed by Larry Clark. I had a small hand in discovering Rosario Dawson in that movie. She was a 16 year-old teenager sitting on her stoop in Alphabet City [New York], one day when we were out scouting for a location a couple days before shooting the movie. It was myself, Harmony Korine the writer of the film and Larry Clarke; we get out the car and I see this young teenage girl sitting with this woman, who turned out to be her mother. I was looking at this girl – and I just had a conversation with the Casting Director for Kids and she was bemoaning the fact that she has been struggling to cast the role or “Ruby”, which was this teenage girl who was very sexually active, promiscuous and also had this really likeable quality. So I walked over to this girls’ stoop and say, “I’m Van Haden, the 1st AD on this movie Kids, and there’s a role in the film that we haven’t been able to cast yet.” I introduced her to our director and the writer, and they come over and we talk another five or ten minutes. We explained the role; it was a very risqué, realistic look at teenage kids in Manhattan in the 90s. Larry pitched the character to her and by 9pm that night, Rosario Dawson was cast as “Ruby” in Kids. Spike saw her and he cast her in He Got Game. It was an explosive story about the skateboard culture and teenage kids, some 11, 12, 13 years old. Up that point, I had no access to that culture and didn’t realize what young teenagers were doing. I didn’t know there was this rampant use of drugs and promiscuity and with no consequences. The movie also had a very chilling message because it was the height of the AIDS crisis, so you have these two trains hitting at warp speed and the impact on young teenage life. I had the honor of doing Zora Neal Hurston’s novel for television, Oprah Winfrey Presents: Their Eyes Were Watching God. It was the second chance I had to work with Academy Award winning actress Halle Berry, who just delivered an amazing performance. This is one of the great novels of all time and I got to be Second Assistant Director. I got to decide what her world would look like in terms of what the extras were doing, where the wagons would go, who was leading the horse teams. Through detailed research reflecting the time period, I had to educate myself enough to deliver the realistic activities and semblence of life in 1900-1920s Eatonville, Florida. Oprah came to the set one day and said, “I love how you give background direction to all those extras!” You told that washwoman to riiiiing the water out of those clothes! It’s so inspiring!” [laughs] How awesome to have Oprah Winfrey saying something like that to you? That was a wonderful validation of the work. 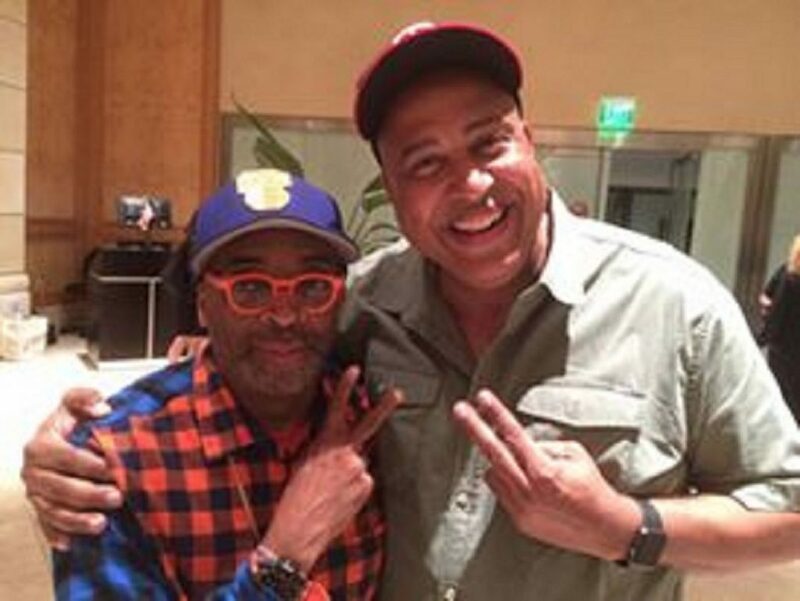 Last year we did Barbershop 3 with Malcolm Lee, who was a Co-PA on Malcolm X. Most recently I finished Director David Talbert’s dysfunctional family comedy All-Star Weekend, with an incredible cast lead by Danny Glover, Mo’Nique, Kimberly Elise, and J.B. Smoove. Also, I have to add how excited I am to be working with Academy Award winner Jamie Foxx (Ray) on his feature film directorial debut titled All Star Weekend. 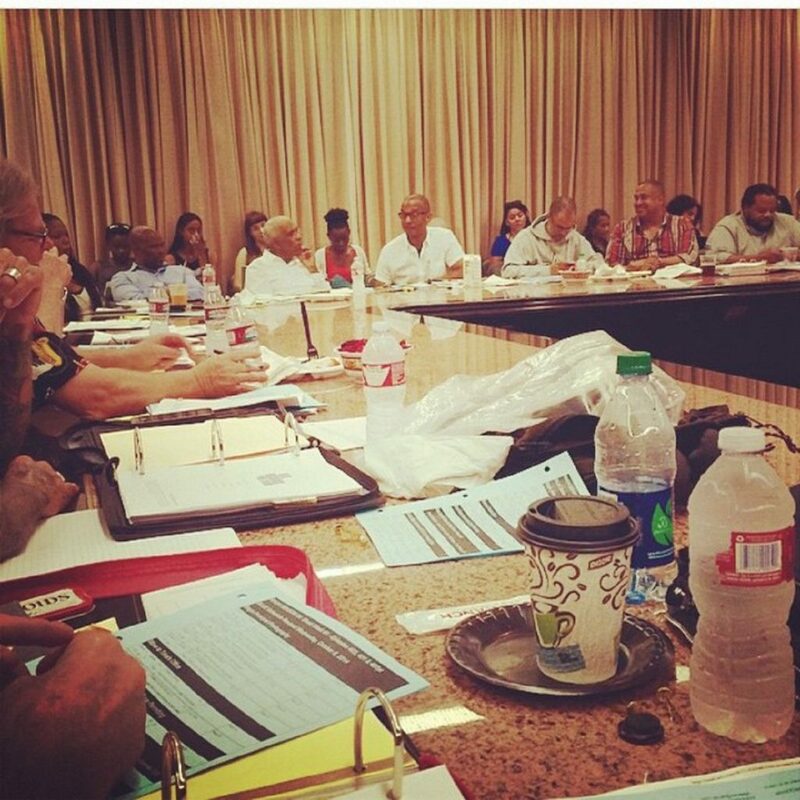 KC: Tell us about working with Jamie Foxx as a 1st AD on All Star Weekend? VH: It’s the story of two, life-long buddies who play college basketball at Butler University in Indiana. One of them freezes in a critical moment in the NCAA tournament and the team loses and gets knocked out of the tournament. Now, years later in life, they work together as car repossesers. Jamie’s favorite character is LeBron James. Jeremy Piven, who plays Danny, his favorite player is Steph Curry and they have this intrinsic rivalry amongst themselves. They’re very competitive and more than anything else, they want to go to Los Angeles to attend the NBA All-Star game. He [Jamie Foxx] can do anything. He’s a human chameleon, who has so much talent and so much incredible vision and passion for his work. Jamie plays three different roles in the film, and there are points in this movie where he’s absolutely unrecognizable. He has so much talent and such great ability of capturing the nuances of character through dialogue and movements. He has this quality that is so rare and so special that he brings to this film as a director and actor, and just every day he just shocks and amazes us. He’s absolutely terrifying at times in the best possible way. It’s an R-rated comedy; it’s uproarious funny material. It’s outrageous, raunchy, and it’s the kind of performance that will be recognized when award season comes around next year like he received when he did the movie Ray. KC: You mentioned working on Project Greenlight and the importance of indie film, so how important is the indie film movement to you? VH: Independent film has been central to the development of my career. Obviously, Spike was at the center of the indie film movement along with people like the Coen Brothers, and Jim Jarmusch. I loved Jonathan Demme’s films. He started in the indie film movement and to go way back, John Cassavetes. I think what defines those films is the personal storytelling of those auteurs. These were people who had a very specific view and often they were within the margins of society, dealing with darker, edgier, more psychological material and those are the films that I like to tell. So as far as Project Greenlight and the independent film movement go, it’s at the core of my development as a filmmaker. KC: How did you end up being on camera for Project Greenlight? VH: It happened through my collaborator/producer Effie Brown, who has really – over a twenty-year relationship – developed into one of my best friends in the business. She’s an incredible producer, brilliant, and it’s really a mutual respect. She trusts me and I trust her. That’s why we’ve probably made fifteen films over a twenty-year span. She called me out of the blue to revamp this series Project Greenlight. It’s Ben Affleck’s and Matt Damon’s pet project. The set up is that you use professional filmmakers, who will be on hand to guide an up-and-coming director as that director makes their first feature. HBO puts up the money and they provide the resources, and Effie was hired as the producer and [she] called me for the Assistant Director job. I went into it with the attitude that I know the cameras are going to be rolling; I know everything is going to be captured; I know they’re going to tweak certain storylines and aspects for entertainment value, and I was fine with that. KC: Now, you also work as a 1st AD on BET’s hit series “Real Husbands of Hollywood”? VH: That’s one of my favorites! That one restored me career actually. Kevin Hart, Chris Spencer and Chris Robinson created this sketch that was the ultimate version of all the Housewives. They said, “What if we did a parody show told from the male perspective of those shows and we embellish the characters but we base the characters around our group of friends, who are all working actors or musicians in the industry in LA?” They did a couple of these sketches that aired at the BET Awards and those created a ground swell of support, which spun-off the series, Real Husbands of Hollywood. My career had cratered at that time. My bread and butter had been doing these independent films that were in the 5 – 7 million-dollar range and I hadn’t done a lot of television, and I wasn’t on “the list” that people would call for these types of things. I also took my life savings and poured into a documentary where I followed then-candidate Barack Obama around the country, and I did that for 11 months and burned through my savings, with the clear certainty that HBO or Showtime would buy my project and help finish, which did not happen [laughs]. I was out of work for two years and ended up losing a house. 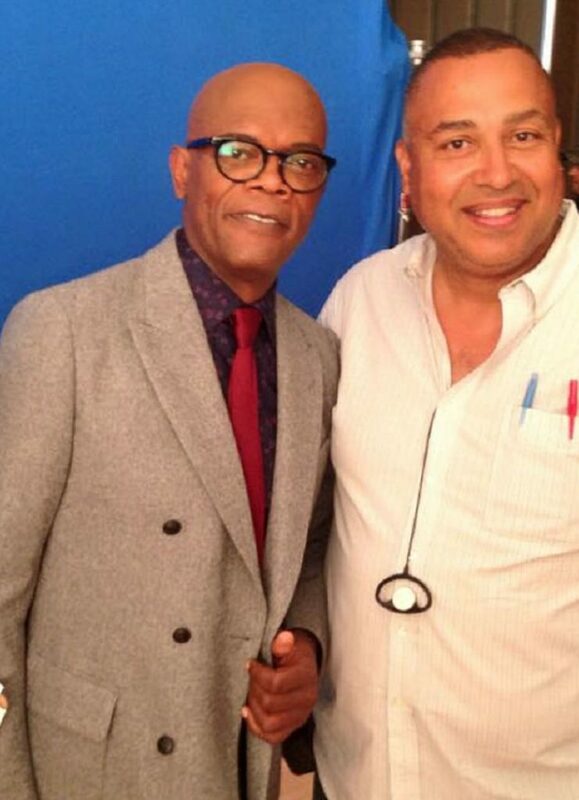 I got a phone call, saying they were looking for a 1st AD on this new series, Real Husbands of Hollywood. 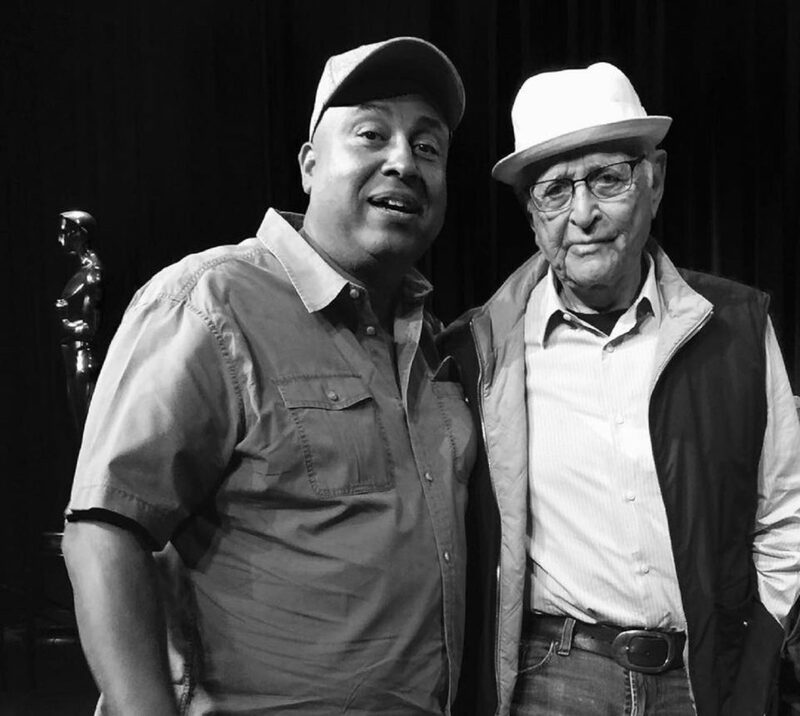 I went in and met with another legendary director, who’s had a big impact on my career, Stan Lathan. He’s been directing television since the late 60s. He’s directed The Rock and The Steve Harvey Show. 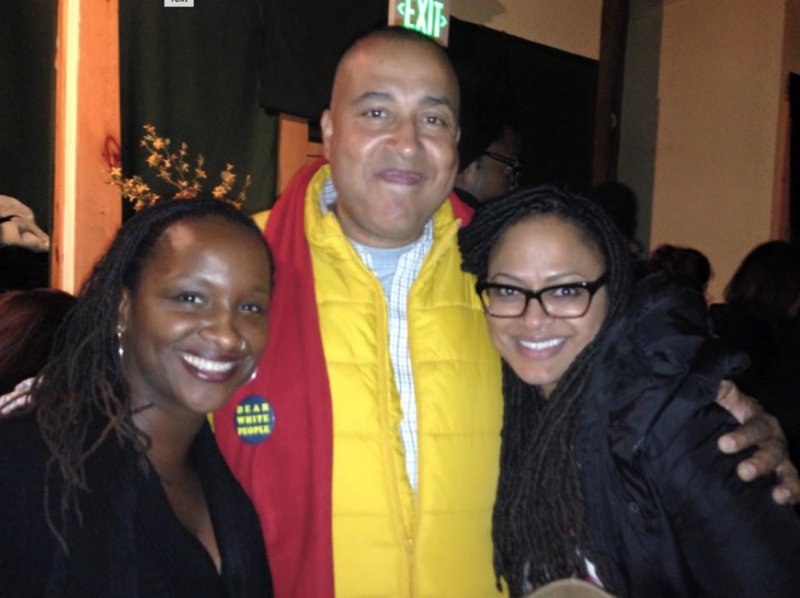 This is a legendary African-American director and he’s the Co-Director of Real Husbands; he does every other episode. The material is already at a really high level by the time Kevin comes to set and we’re blocking the scene, and Kevin will come up with some twist on it that takes it to this hysterically funny level. The other actors vibe off that. There’s just such an amazing wonderful chemistry. A lot of that is because in real-life they’re friends. Duane is the schemer; Boris is the handsome but talent-challenged actor; Nelly is the “roid” rage guy who had a shot at baseball but became a rapper. 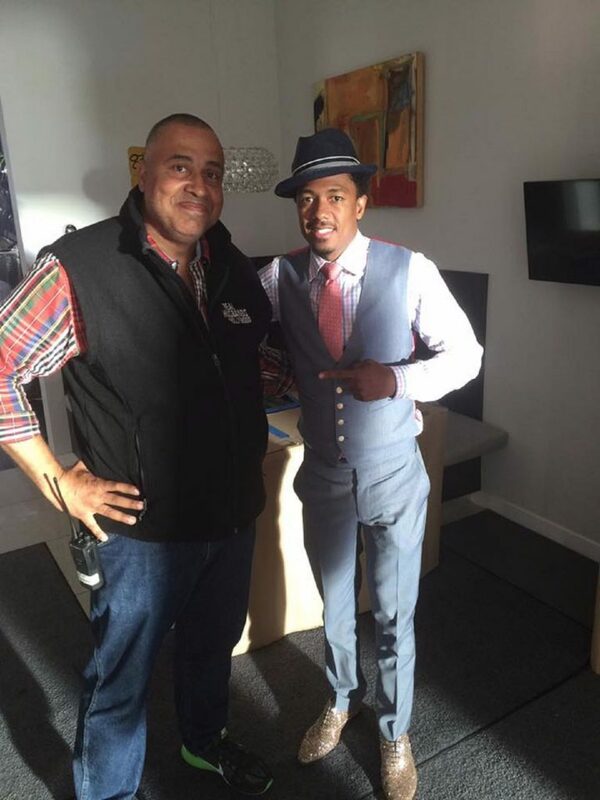 Nick Cannon is the guy, who magic happens for him all the time. He gets all the girls, the best jobs, ton of money. He’s Kevin’s nemesis on the show. Kevin wants Nick’s success but it seems like can never attain it. Robin Thicke returned for Season 5 of the show, bringing the musical side back. Like 40 Acres, that set is really a family. These guys have looked out for me. 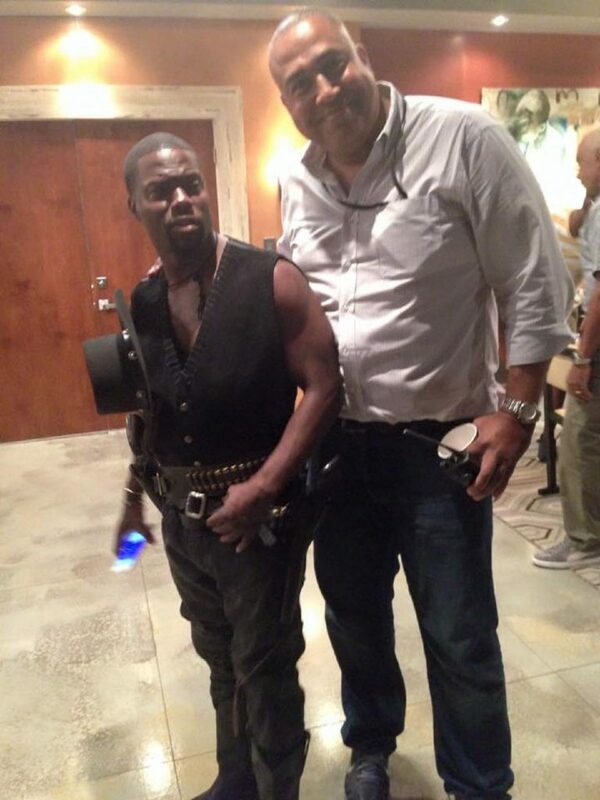 Kevin Hart is the biggest comedy star in the world right now and literally one of the sweetest guys you’ll meet. He cares about the people around him. He rejuvenated my career, and I’ll forever be indebted to him and the Real Husbands family. KC: You mentioned the importance of indie film, so how important is the indie film movement to you – as not just a 1st AD but also, story-teller? VH: It was crucial in the development of my career. Obviously, Spike was at the center of the indie film movement along with people like the Coen Brothers, and Jim Jarmusch. I loved Jonathan Demme‘s films. He started in the indie film movement and to go way back, John Cassavetes. I think what defines those films is the personal story telling of those auteurs. These were people who had a very specific view and often they were in the margins of society, dealing with darker, edgier, more psychological material and those are the films that I like to tell. It’s at the core of my development as a filmmaker. KC: You also worked as a 1st AD with Bob Odenkirk from Better Call Saul, what was that like? VH: I’ve had the good fortune of working with a lot of actors who are directing projects and one of the actors is just a magnificent guy, wonderful actor and that’s Bob Odenkirk. He’s one of my favorite directors to work with and always look forward to the opportunity to do so. I’ve worked on three different films with Bob and a pilot that we did. The second of those films was a movie called Let’s Go to Prison. Chi McBride plays the mean, black prisoner in a state prison. Will Arnett and Dax Shepard are two of the main characters that end up in prison. The story revolves around their experience and Will plays this very weak, rich, wealthy guy who has no sympathy for anyone else’s life except his self and he gets throw into prison and he has to learn how to survive. By the end of the movie, he’s running the prison by a series of strange twists of fate. 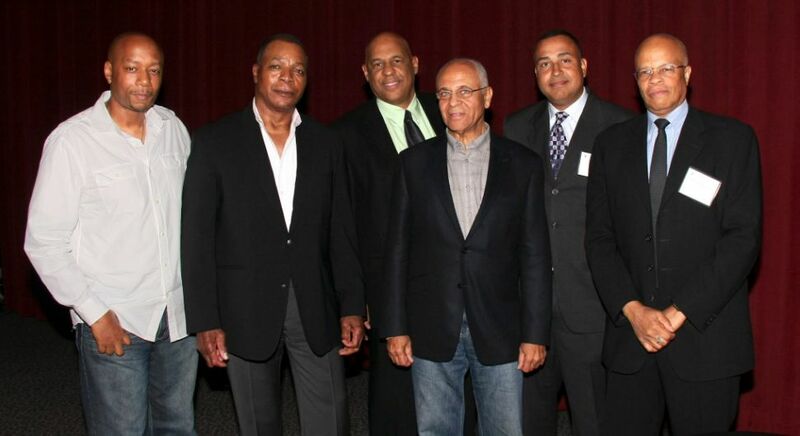 KC: You also were a part of the African-American Steering Community for the Director’s Guild of America (DGA). What were the some of the issues that you tackled? VH: I’m glad you asked about that because that has been a major component of my career also. The Director’s Guild of America is an incredibly powerful organization because it represents the professional directors that are working; everyone from Steven Spielberg to Francis Ford Coppola. What’s wonderful about the guild is that in its history, it was formed so that producers and studio owners couldn’t just hire and fire anybody they want and pay anything they want. What came out of the Director’s Guild is we have a collective bargaining agreement: every three or four years we sit down with the producers across the table to negotiate. When we walk onto a set, we’re given a certain level of payment that will be made, we have certain working rules that will be respected, you can’t fire or hire – only under certain conditions. And there’s an incredible force behind the issue of creative rights. For example: a director has ten weeks on a major film – uninterrupted by the producers – to cut together, with the director’s editor, the film version that that director set out to make. 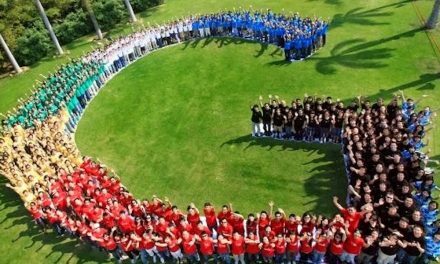 After that, the producers can come in and make changes and have final cut in the film, but the director has an opportunity to present the vision that they have, which is very important. From early on, I wanted to play an active role in the guild, and I attended the African-American Steering series, the AD/UPM Council meetings, and the Western Directors Council meeting. I was elected by my peers to back-to-back terms as a Co-Chair of the African-American Steering series along with Carl Weathers and Millicent Shelton. 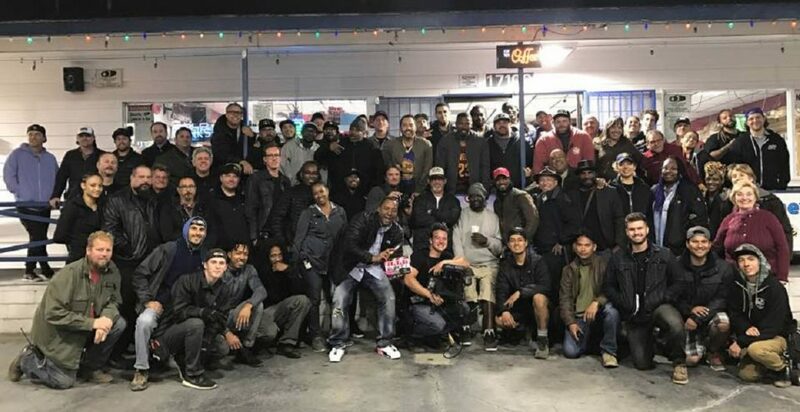 If there were concerns that African-American filmmakers or Assistant Directors have, a lot of the times they would bring those concerns to us and we would relay to the staff of the guild and 90% of the time, those thing were quickly resolved. It was an incredible experience during my tenure there. 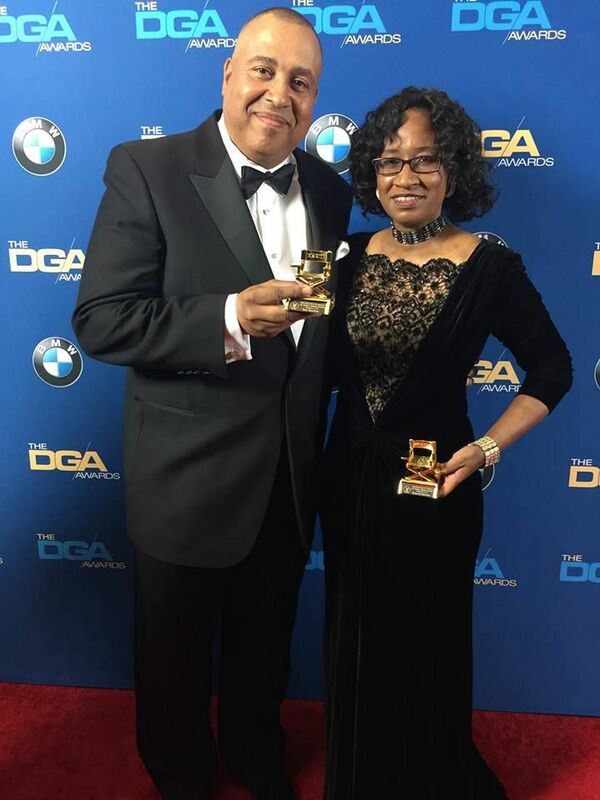 We were responsible for honoring established and very talented filmmakers each year, including: Bill Duke, Carl Schultz, F. Gary Gray, and most recently Paris Barclay. We are the voice that helps recognize the creative contributions that African-Americans have made to the Guild. KC: What’s next for you as a 1st AD / filmmaker? Do you have a dream project that you’d one day like to produce or direct? VH: I absolutely do. It’s mostly written. I will call on every favor in the almost thirty years that I’ve been doing this and hopefully the people will be available and willing. I don’t want to talk in detail, but it’s a personal story. I have a philosophical belief that if you’re talking about the project, you’re not doing the work of finishing the writing or developing. There’s a long way from the page to the stage. I also had the privilege of being one of the ten or twelve people selected from a national selection for the Film Independent Producing Lab series about two years back. The independent vision is alive in me. Those personal stories I want to be able to tell. I’ve just been so blessed and I’ve been able to cherry pick the things that I’ve seen others do that work and put my own little spin on those things. I’ve really committed to finishing the script I referenced. I would hope that launches my career as a working director, and by that I mean storyteller – to help the world see all of our participation, intelligence, struggles and really put a human face on characters who either come up through a blue-collar experience or a marginalized experience, or ethnic or racial experiences. Those are really the stories that I hope to be able to tell throughout my thirty-year journey so the audience can see in a very humanistic way. KC: What advice would you give to someone who feels like they might never realize their dream of working in the entertainment industry as a 1st or in any capacity? VH: My test for my own-self before I left Minneapolis to head to New York to work on Mo Better Blues, I asked myself, “When I’m 60 years-old, will I regret not taking this opportunity right now?” After I left journalism, I spent two years trying to develop some skills: I’d taken a professional screen-writing course. The thing you have to do in any aspect of life, you gotta find a burning passion that you love to do. And then the next step is you have to learn everything and I mean every aspect of “that thing”. You gotta learn and do research on who are the leaders in that industry, who are the people who are the movers and the shakers and look at their work. What is it about their work that you respect and admire and want to emulate? You can check out books on the Meisner technique, method acting, Stella Adler, I didn’t know learn about them in college or in high school. It was only when I got into the entertainment industry that I realized – for an actor –these are techniques that help them develop their craft. My job as a director or an assistant director is that I’ve gotta understand the story and that actor’s interaction in the story and I should have some knowledge of the craft they’re using to deliver the performance that I want them to deliver. When you have that knowledge that’s gonna be your fuel to survive on when you’re struggling and have setbacks – take a learning lesson [from setbacks] and add that lesson to your quiver like an archer’s arrow. You have to be so committed and so determined that there’s nothing that’s gonna stop you even when the odds seem impossible. Try and do it for the right reasons and the right reasons are usually the higher reasons that you’re going to leave a legacy that’s gonna change someone’s life, maybe change someone’s mind or opinion. Maybe eliminate some bigotry or hatred in the world. Whatever it takes, try to get into their orbit, get close to them [actors and directors].